What ever happened to Victorian realism? What is literary fiction? This question is more semantic than philosophical – what is the nature of the books to which the term ‘literary fiction’ now refers? Because it seems to me that these two words mean entirely different things to different people. 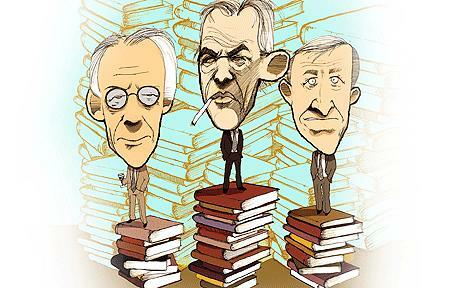 Depending on where you stand, ‘literary fiction’ can either mean ‘stuffy pretentious books by middle class white guys that nobody actually enjoys reading’ or ‘the sort of middlebrow realism that tends to win the Booker prize’. Astonishingly, these statements even seem to refer to the same authors. Are the likes of Martin Amis, Ian McEwan and Julian Barnes excessively bookish and cerebral, or is the mere suggestion that anyone might think this symptomatic of a more general dumbing down of literary culture, as recently argued (sort of) by Gabriel Josipovici? For Josipovici, it isn’t really the likes of Amis and McEwan who are the problem. The problem is that a highly conservative and above all commercialised literary culture upholds their sanitised and derivative novels as great works of art. In a sense, I’m inclined to agree. Every era has its popular novelists and no doubt they have always been overrated in many people’s eyes. But the peculiarity of our current climate is the relentlessness of the commercial machinery that elevates a popular storyteller like McEwan into some sort of bastion for serious literary art. The commercial and the critical motives have never been so incestuously intertwined. In order to be ‘great’ or a ‘masterpiece’ (of which apparently dozens are now written every year) a book no longer has to tell us something new – it has to do so in a manner which is ‘entertaining’ and palatable to the masses. Part of this surely stems from the market forces of ‘literary fiction’, a sort of rapidly expanding, upwardly mobile literary bourgeoisie. A common – and slightly lazy – caricature of current literary fiction is that it is essentially a rewrite of naïve Dickensian/Balzacian Victorian realist fiction, the sort of fat tome that supposedly – though I sometimes wonder if people who make this accusation have actually read Bleak House or Vanity Fair or Middlemarch – seeks to hold up a mirror to the world around it and doesn’t spend a single second questioning the appropriateness of its linguistic resources for doing so. But is this really accurate? Does it really describe the sort of novel that Josipovici (albeit briefly – for those who have only read the reviews, his book is not, in fact, an extended polemic against Ian McEwan) rails against in What Ever Happened to Modernism? I think not. There’s something more complicated than this going on in – or at least going on behind – the works of the big ‘literary fiction’ writers whom Tom McCarthy disdains as the ‘copywriters for the concern of middlebrow humanism’. Not necessarily better, but more complicated. More complicated because people can and do argue the opposite perspective – that these novels represent the integration into popular literary culture of modernist narrative techniques. An example of this is John Mullan (a UCL professor, no less), who wrote a piece in the Guardian not long ago about the prevalence of non-conventional (ie non 19th-century realist) narrative forms in contemporary ‘literary fiction’ practitioners. Novels like Martin Amis’s Time’s Arrow, which is told backwards; David Mitchell’s Cloud Atlas, a Russian Doll of six elaborately embedded narratives; Ian McEwan’s Atonement, with its clever metafictional sting in the tail; AS Byatt’s Possession, with its postmodern playfulness. I mean, even Wolf Hall was written in the present tense. Is this not, in fact, a golden age in which narrative experimentation is more widely accepted than ever before? ‘Literary fiction’ states Mullan, has its origins in the works of John Fowles, who ‘showed that you can be self-consciously literary and still make money’, and was sparked by the monumental critical and commercial crossover success of Salman Rushdie’s Midnight’s Children. While I am inclined to come down on the Josipovici/McCarthy side of the fence, I think that by simplifying the debate into some sort of convenient binarism between straight 19th century fiction (bad) and modernism (good) we do ourselves few favours. This is a simplification that Josipovici avoids, but others do not. 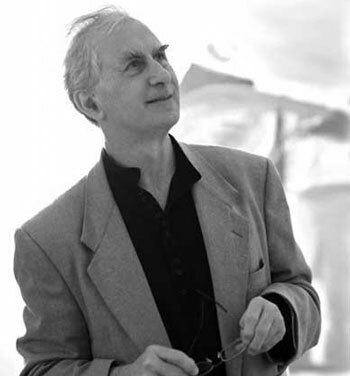 For example, David Shields’s Reality Hunger seemed to me to relies upon a shallow caricature of ‘the conventional novel’ and a rehashing of the time-honoured foundations of modernism (an anxiety about language and form) that, as Josipovici argues, transcend its temporal manifestations (try reading Don Quixote). Rather than just being a return to Victorian realism (though it also does this in certain ways) I would argue that literary fiction is, depending on your agenda, either the democratisation or the commercialisation of modernism. On the one hand (democratisation) a work like Martin Amis’ Money is an iconoclastic puncturing of the false idols of modernism, its privileged discourse, its arcane exclusivity, its psychological rigour (is it ultimately any more or less false and constructed than realism’s attentiveness to the ‘real world’? ), and, a bit like the Angry Young Men led by his dad, brings it, unpretentiously, to a mass audience. 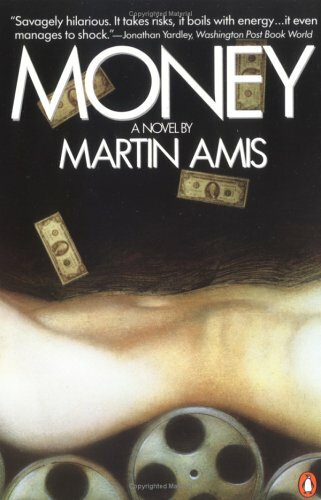 Or alternatively, Money is a glib, shallow work that uses some modernist party tricks that actually mean something quite serious in the hands of other practitioners, and deploys them in a show-offy manner that impresses a middlebrow audience and provides the sort of commercial fodder that allows Martin Amis to spank thousands of pounds on fancy dental work and bag £500,000 advances (eating his cake), while also being critically lauded by a commercially motivated popular literary press as a serious and significant author (having his cake). Literary fiction is democratisation in that it has expanded the market, and therefore readership of (relatively) serious fiction. It is commercialisation in that it has squeezed out the genuine avant-garde and replaced it with a more streamlined version that will be more palatable to the masses and therefore sell more copies – it has pushed everything towards the middle. If on a Winter’s Night a Traveller becomes Cloud Atlas, Mrs Dalloway becomes Saturday and Howard’s End becomes On Beauty. These aren’t so much novels that ventriloquise straight nineteenth century realism, as Diet Modernism: some of the superficial cleverness of a Woolf or a Forster without the calories.